A long weekend for anyone who wants to come in action for a better world. For anyone who is open for change. 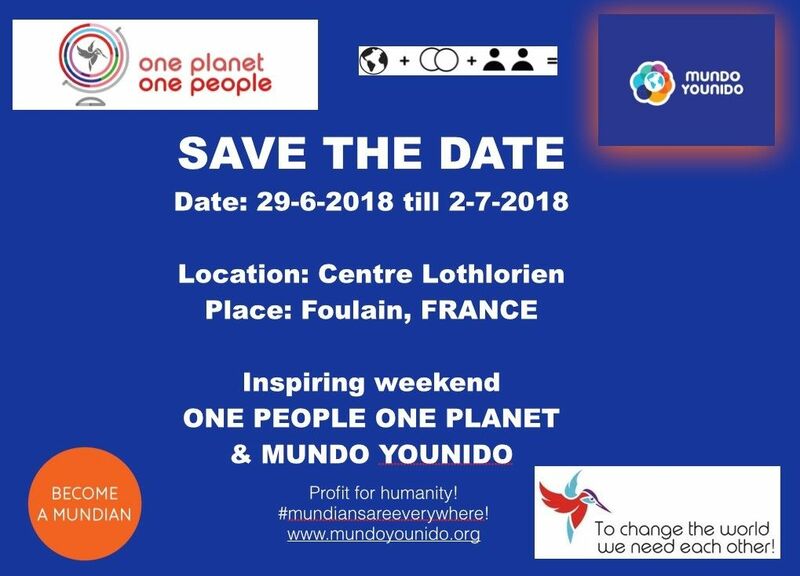 For everyone who is inspired by the story of Mundo Younido and One planet-One people. For anyone who wants to give color to our world, with own talents, based on mutual respect. You are welcome to get inspired at a beautiful location in the middle of the nature in France. A great break in a busy schedule and an inspiration for all who have interest in a better world. A place where we can exchange from heart to heart and motivate and stimulate each other. Inspiring stories, workshops, dance, music, plenty of space for dialogues. Together we will write history.